The Wireless Innovation Forum (WInnForum) announced today DigiCert as the first approved Citizen’s Broadband Radio Service (CBRS) Root of Trust Certificate Authority (CA). A supporting Request for Proposals seeking candidates was distributed in May 2017 and multiple organizations applied. DigiCert was the first to be approved; several others are pending and will be posted on the Forum’s web site once confirmed. “The Certificate Policy developed by the members of the WInnForum represents a significant milestone in the realization of CBRS. The policy is an integral part of the CBRS Public Key Infrastructure documentation and sets the minimum standards for governing, administrating and operating that infrastructure,” said Richard Bernhardt of WISPA and chair of the Forum’s SSC Operations Work Group. The Certificate Policy describes the overall business, legal, and technical infrastructure of the CBRS Public Key Infrastructure (PKI) including appropriate applications for, and the assurance levels associated with the PKI certificates, obligations of CAs, minimum requirements for audit and related security and practices reviews, methods to confirm the identity of Certificate Applicants, and more. Each CBRS PKI CA is governed by a Certification Practice Statement(s), which describes how the applicable Certificate Policy requirements are met by that particular CA. CAs operating in the CBRS PKI shall draft, implement, and maintain a Certification Practice Statement. Ancillary security and operational documents may supplement the Certificate Policy in setting more detailed requirements. CBRS certificates are the basis for many security services including authentication, confidentiality, integrity, and non-repudiation. Three recently approved documents provide the foundation of the new approval program: Requirements for Commercial Operation in the U.S. 3550-3700 MHz Citizens Broadband Radio Service Band Working Document WINNF-15-S-0112; WInnForum CBRS Certificate Policy Specification Document WINNF-17-S-0022; and CBRS PKI Root of Trust Operator Requirements Document WINNF-16-P-0235. Cumulatively, these documents represent a policy for implementing the Forum’s comprehensive communications security specification and provide details on the Forum’s process for accreditation of Root of Trust operators to administer that policy; the PKI Root of Trust report provides clear guidelines for application/certification as an operator. CA is an umbrella term that refers to the collection of hardware, software, and operating personnel that create, sign, and issue public key certificates to Subscribers or other CAs. The CAs are responsible for: developing and maintaining a Certification Practice Statement (CPS), issuing compliant certificates, delivery of certificates to its Subscribers in accordance with the CP, and more. CAs act as trusted parties to facilitate the confirmation of the binding between a public key and the identity, and/or other attributes, of the “Subject” of the Certificate. Details of the duties of a CA can be found in WInnForum CBRS Certificate Policy Specification Document WINNF-17-TS-0022. The program and supporting documents were produced by the Forum’s Spectrum Sharing Committee and are available in the group’s Work Products web page: http://www.wirelessinnovation.org/ssc-public-files. The SSC benefits from participation of a broad-based group that includes wireless carriers, network equipment manufacturers, potential SAS and ESC Administrators, satellite operators, existing 3650-3700 MHz band licensees, and other parties with an interest in the 3550 MHz band. To learn more about The Wireless Innovation Forum, its meetings and membership benefits, or to become involved with the SSC, visit http://www.WirelessInnovation.org. 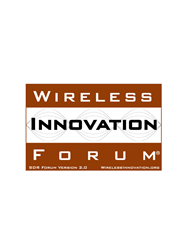 Established in 1996, The Wireless Innovation Forum (SDR Forum Version 2.0) is a non-profit mutual benefit corporation dedicated to advocating for spectrum innovation, and advancing radio technologies that support essential or critical communications worldwide. Members bring a broad base of experience in Software Defined Radio (SDR), Cognitive Radio(CR) and Dynamic Spectrum Access (DSA) technologies in diverse markets and at all levels of the wireless value chain to address emerging wireless communications requirements. Forum projects are supported by platinum sponsors Google, Motorola Solutions, Leonardo and Thales.